Your boys are so fussy, I thought I’d make something simple yet very tasty. When myself and Chef worked for the French Hotel company Campanile, we often tasted things we’d never tasted before i.e. horse, snail, veal, oysters, frog. We’re adventurous in what we eat and will try anything once. So when you gave me carte blanche into what I’d cook tonight, I took you to your word. I went to the butcher for veal, they sent me to a place nearby which supplies bigger outlets with many cuts of meat, usually in large quantities. I chanced my arm and asked for four veal steaks. The lady butcher was great. 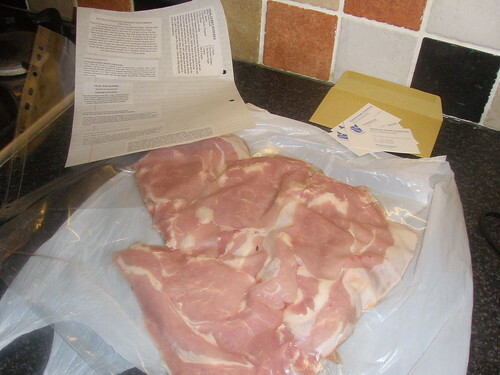 She told me she didn’t normally sell small amounts of meat, but sliced it, vac-packed it and gave me some recipes, too! Happy Days! I picked the most simple of the recipes for you to try…. 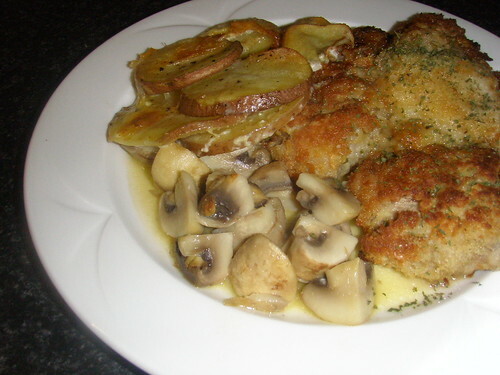 Beat the escalopes until thin (I didn’t!) 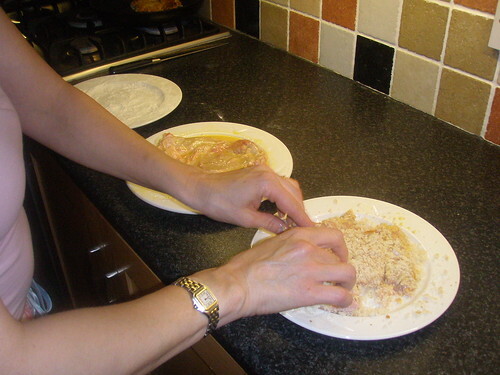 Coat in seasoned flour, then in beaten egg and then in fresh breadcrumbs. 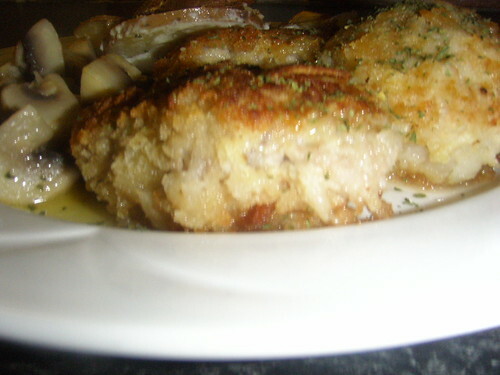 Heat a little oil in a frying pan and fry the veal on both sides for about 4 minutes on each side until golden brown. Drain and serve with lemon wedges.